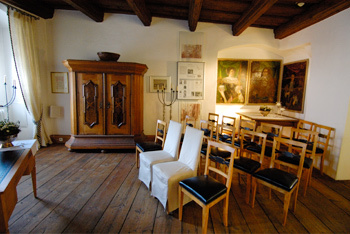 All civil weddings of the Dingolfing community are performed at the Herzogsburg. Couples from near and far enjoy of the historic room for their "big day”. A champagne reception in a stylish ambience will give a personal touch to your festive occasion and will make for many fond memories of these very special hours. The "tingula" is ready to welcome you for your celebration.